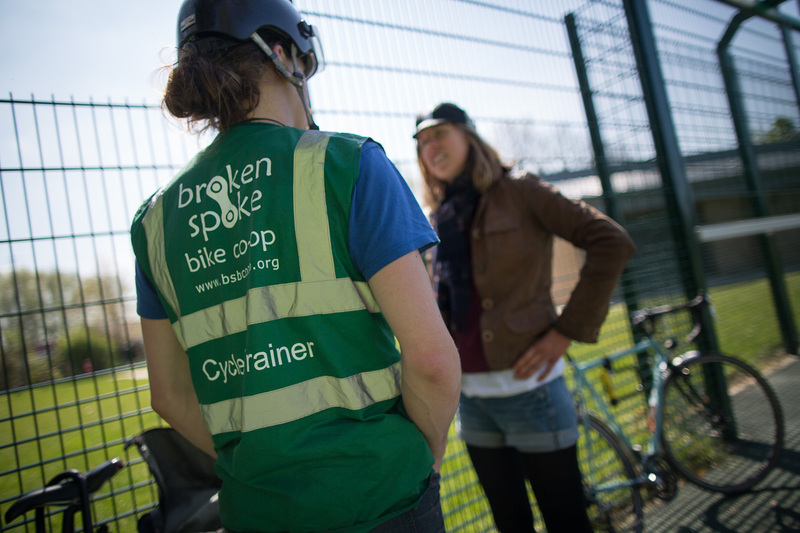 Since June of 2013, Broken Spoke has been delivering cycle training to the people of Oxford, starting small but with defined aims. To date we’ve delivered a total of almost 700 hours of cycle training to around 300 people, the youngest trainee being 7 and the oldest, 83. In addition to these promising numbers, the programme has recently reached another proud milestone by obtaining Bikeability accreditation. ‘What is Bikeability?’ some of you might ask. 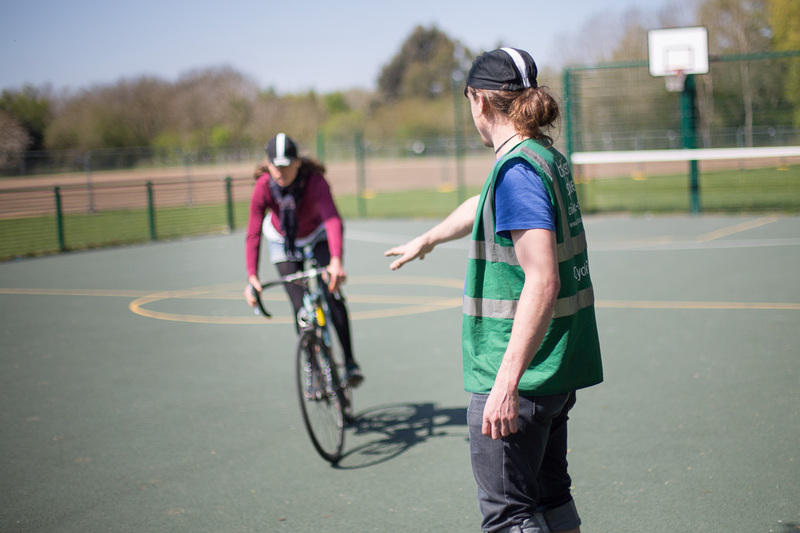 It’s the same cycle training syllabus we’ve always taught but it’s supported by comprehensive policies, structures and systems designed to protect the more vulnerable cycle trainees, for example children or vulnerable adults. ‘What good is this?’ you might go on to ask. It means that we can begin to offer our training to people at a younger age. There are around 50 schools in the city of Oxford, private and public. As an accredited Bikeability organisation, we are now approved by the authorities to offer our cycle training to these schools as part of a child’s education. There are also funding possibilities from the Department for Transport. ‘Why start now? Why haven’t you always done this?’ are your next questions, right? Well, when our cycle training programme started a couple of years ago through funding from Oxford Brookes University & UnLtd (to train our first instructor, Sam – yours truly), the route to offering it to schools as a Bikeability provider required knowledge of something of which we had no experience delivering. It made more sense to first gain experience of what it meant to train cyclists and to build the programme. Training individual adults from a variety of organisations helped to test and strengthen the flexibility of the programme, starting with the University of Oxford and Oxford City Council and then moving on to Oxford Brookes’ cycleBOOM study, Crisis Skylight and the CTC. As the number of lessons we taught steadily increased and the number of cyclists riding around with stronger road awareness grew, the programme became an ever stronger and more important component of Broken Spoke. Alongside the development of the programme, our application to become a Bikeability accredited organisation was gradually progressing; achieving this accreditation was always the aim for the programme. So now, with the new year comes a new direction for our cycling instructors to pedal towards. For Broken Spoke to be able to call itself a Bikeability provider is proud declaration that we teach to the highest cycle training standard. We are going to start teaching our first school group towards the beginning of Spring with enquiries from other schools steadily coming in. By Summer, don’t be surprised if our green jacketed cycling instructors herding snakes of cycling school-children around the streets of Oxford becomes a common sight.